I have one more event blog to write, but I'm back at my desk. I've been away for a long time doing events, it feels a bit strange. 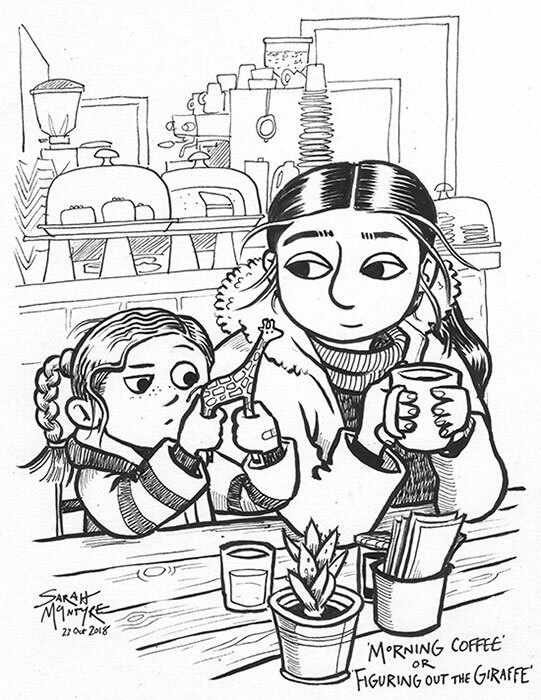 I had to start with a morning warmup sketch in the local cafe.